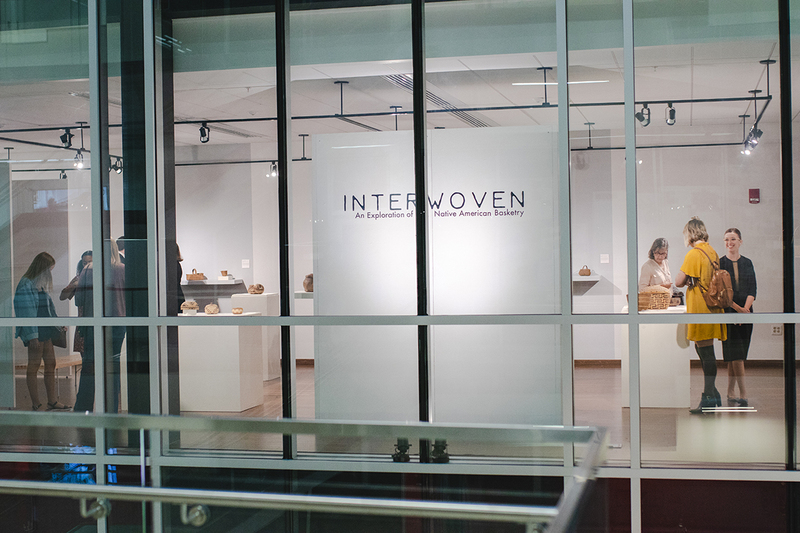 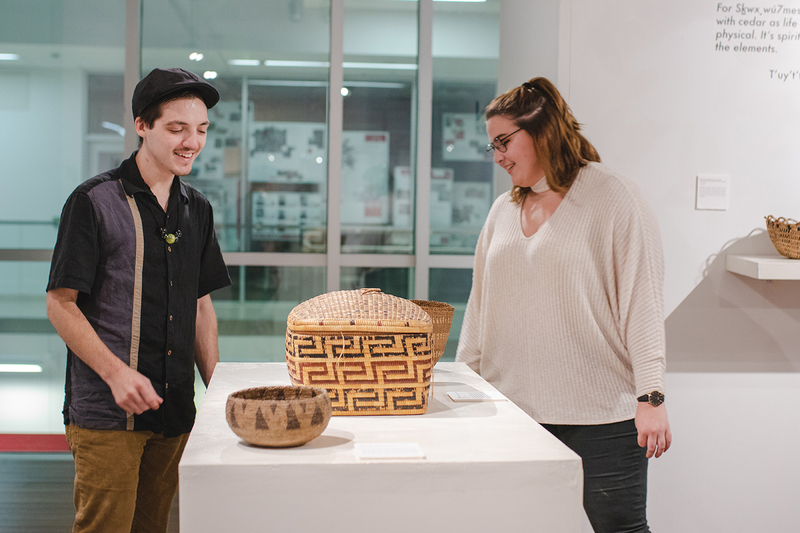 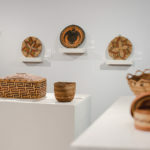 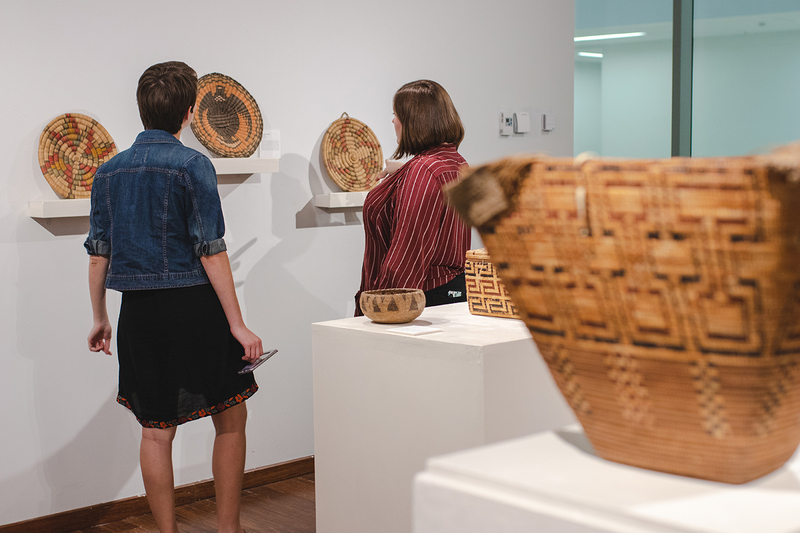 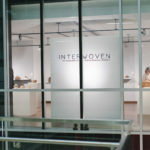 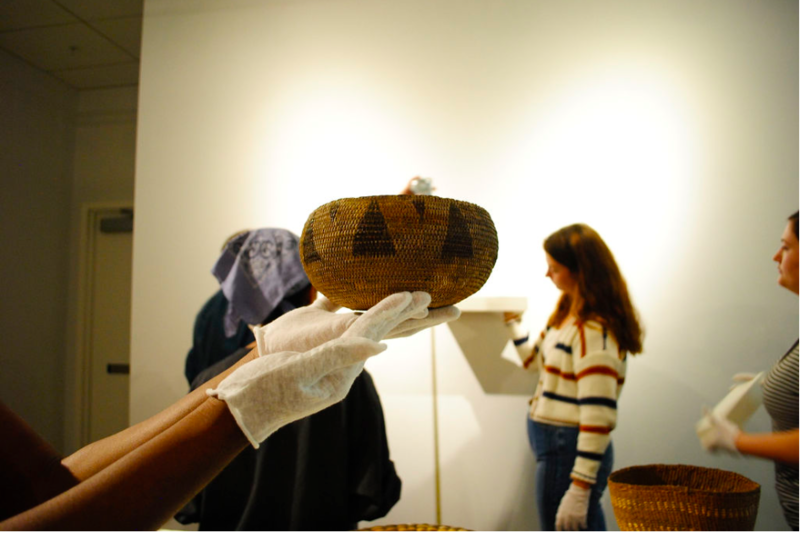 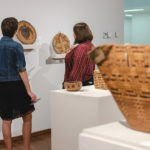 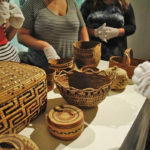 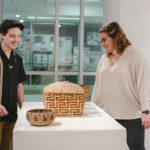 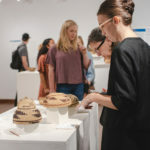 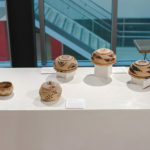 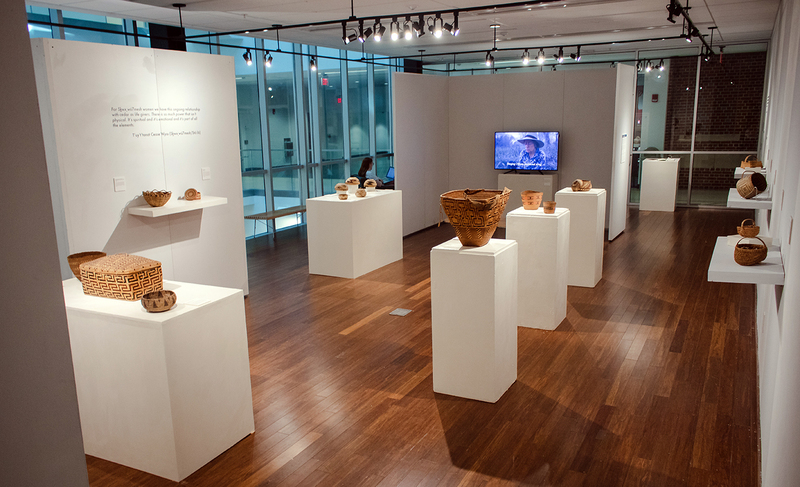 Last fall, the Art History undergraduate Museum Object class curated the exhibition Interwoven, An Exploration of Native American Basketry in the WJB Gallery. 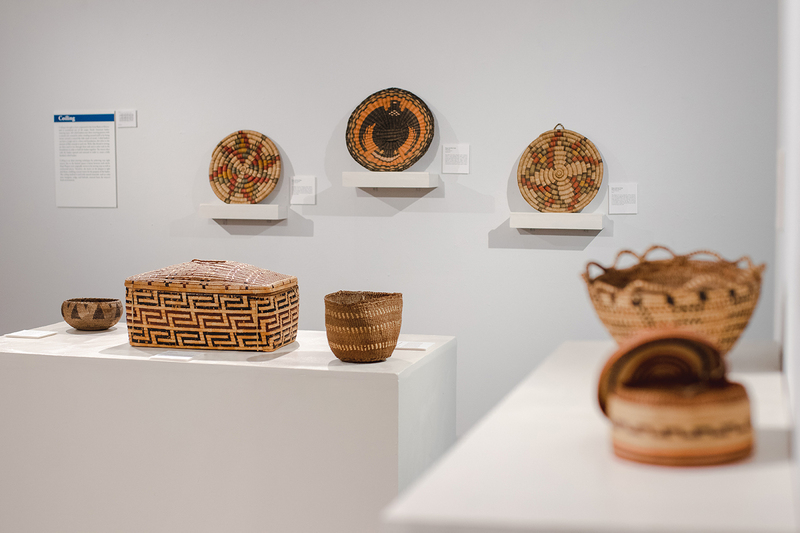 This beautiful and informative exhibit focused on Native North American woven baskets selected from the Mary Douglas Lewis North American collection housed at the Florida State University Museum of Fine Arts, a collection donated to FSU in 1954 and never before publicly displayed. 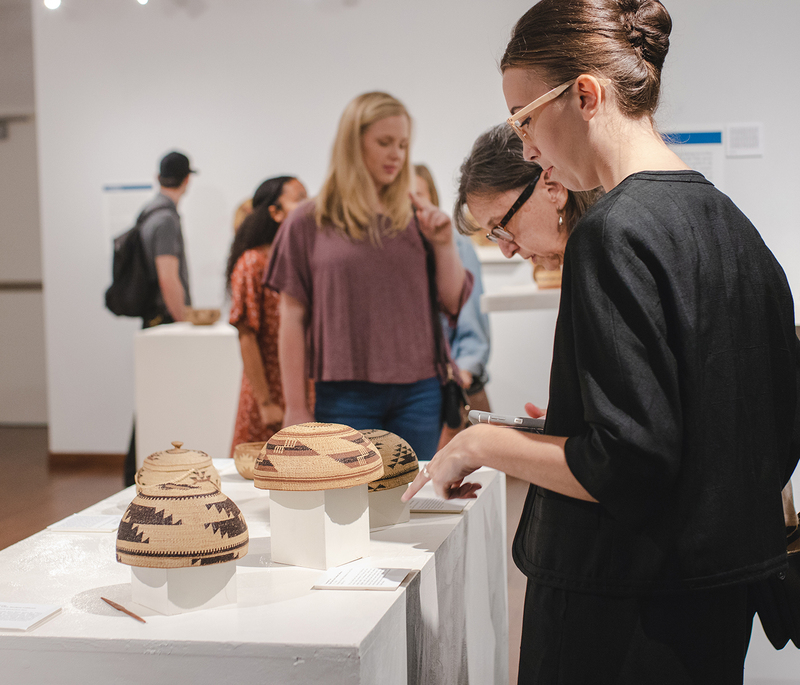 Led by Dr. Kristin Dowell, the students were thrilled to research and design this first public showing of Native American art objects that have been in the possession of the University for over sixty years. 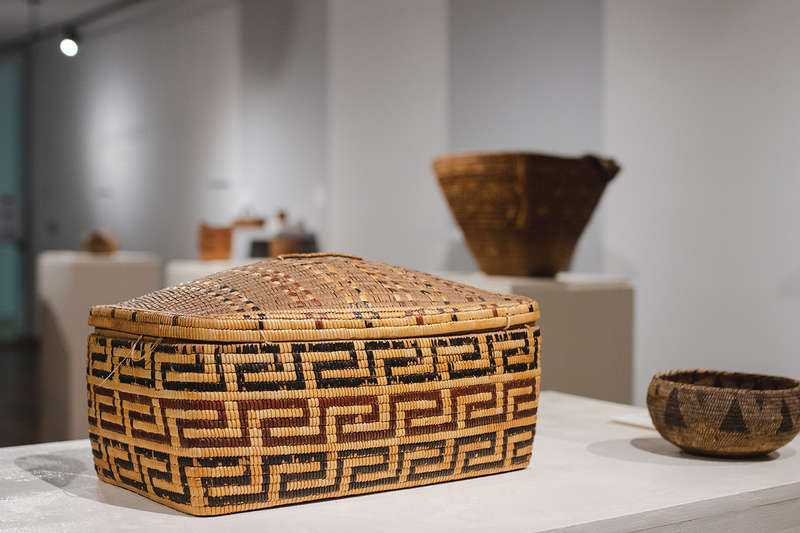 For the exhibition, the students selected twenty-five of the 170 baskets that comprise the collection, focusing on objects that would represent the variety of functions, styles, and materials, and the Native groups that created them. 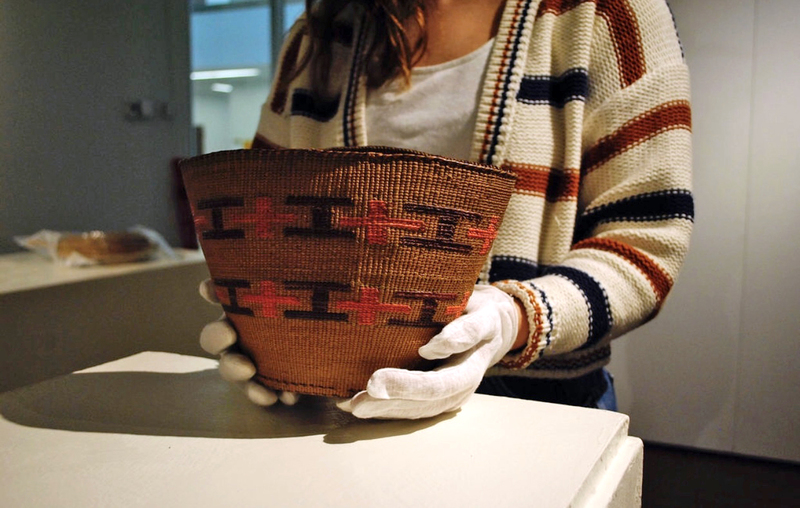 One of the prominently featured baskets was the work of the Seminoles, significant to our region. 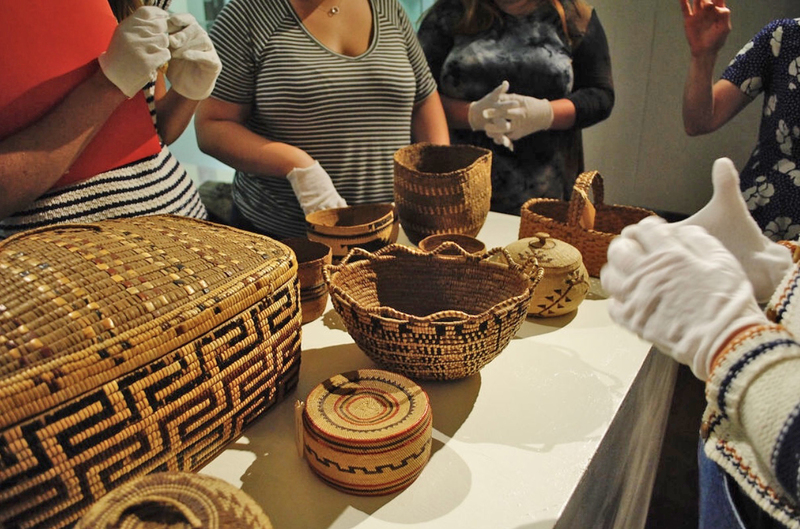 Students researched the varying uses of the woven objects, from ceremonial to functional. 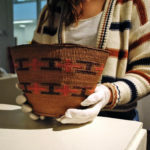 The students also prepared a video loop of clips from documentaries about the history of the baskets with Native American women describing their creative processes and the objects’ uses. 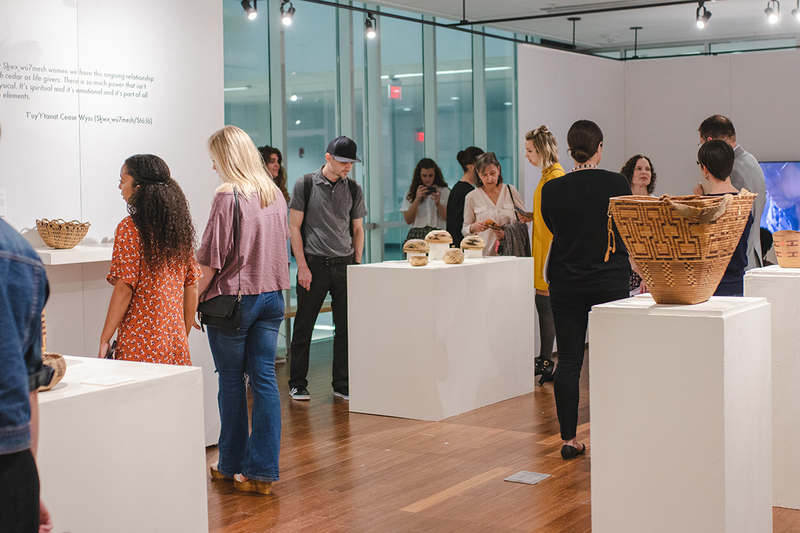 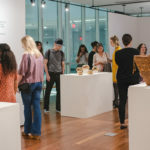 The Museum Object class, taught every fall and spring semester in the Department of Art History, is typically comprised of 15 to 20 students arranged into three teams: public relations and outreach; design and installation; and curatorial. 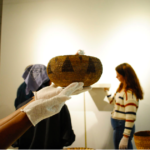 The public relation team’s objectives are fundraising for and promoting the exhibition using University programs and social media platforms. 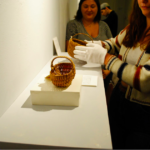 The curatorial team selects, examines, and researches the objects. 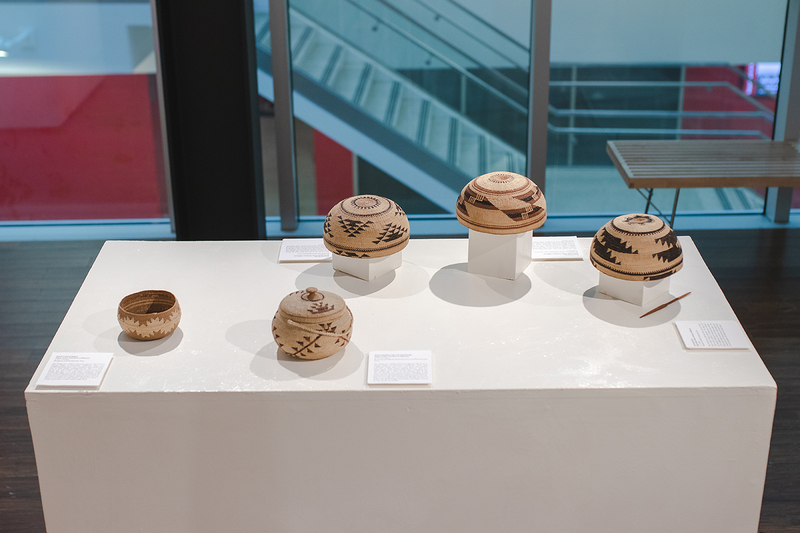 The design and installation team’s objective is to take what the curatorial team has implemented and create a layout that best suits the objects being displayed. 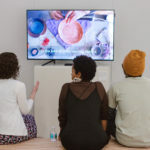 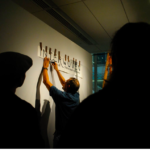 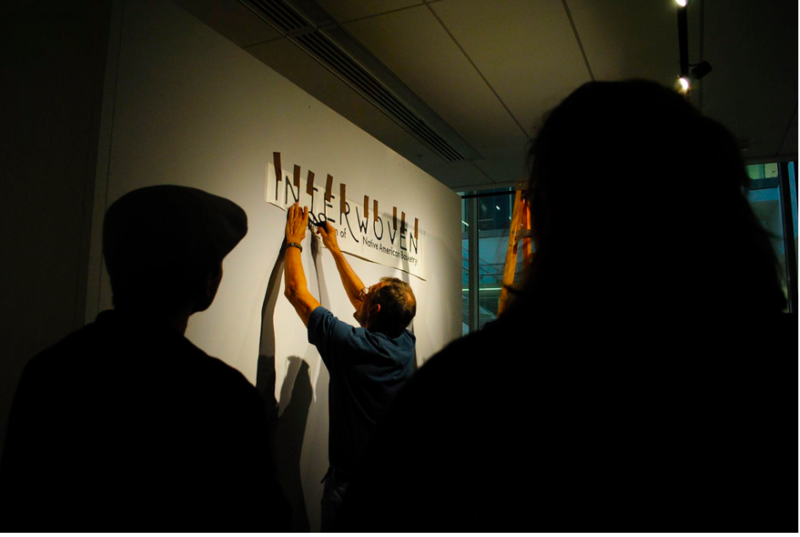 This team decides where to install shelves and walls with the goal of drawing the viewer in and connecting them to the objects. 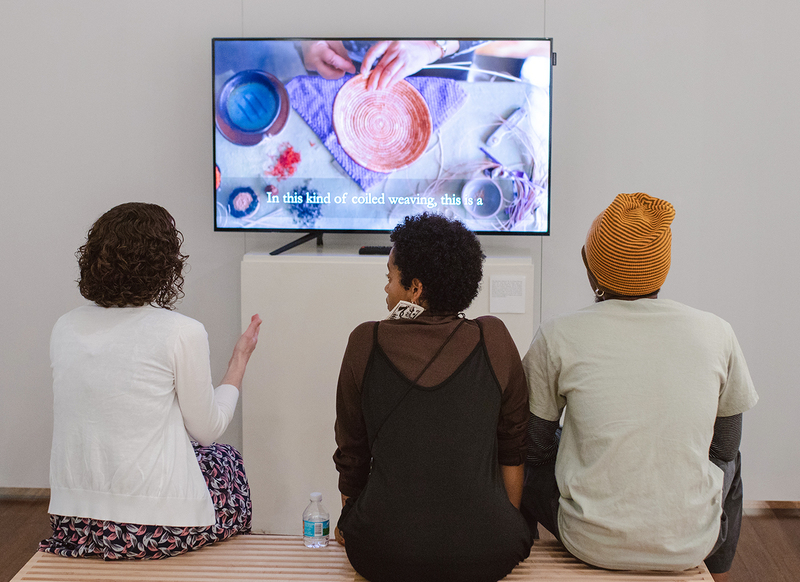 These groups collaborated on a theme that brought everything together beautifully. 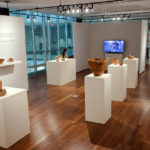 I am fortunate to have had the privilege of teaching this class, and I am proud of the work they have all done. 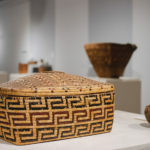 In making this exhibit, our main goals included the choice to honor the artistic skill and the technique of the women who wove the baskets and the integration of decolonizing museum methodologies in the exhibit such as highlighting the voices of contemporary Native American weavers and including an Indigenous Land Acknowledgement. 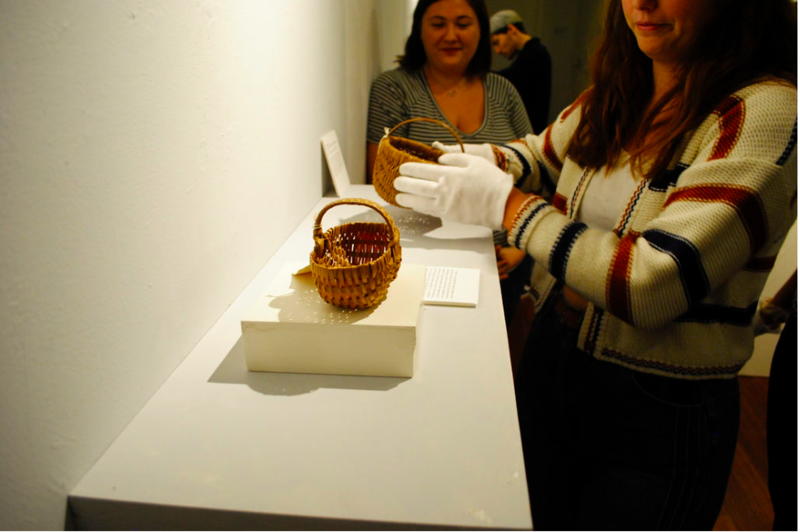 And finally, the long-lasting legacy of research done by the class will be left behind for future students to add to when these woven objects are studied further.